Bobcat Goldthwait's Misfits & Monsters is an American 30 minute scripted thriller television series, which kicked off on July 11, 2018, on truTV and is broadcast every Wednesday at 22:00. The show is currently in its 1st season. truTV is yet to announce the renewal of Bobcat Goldthwait's Misfits & Monsters for Season 2 as well as its cancelation. Sign up to track down the show's status and its release date. 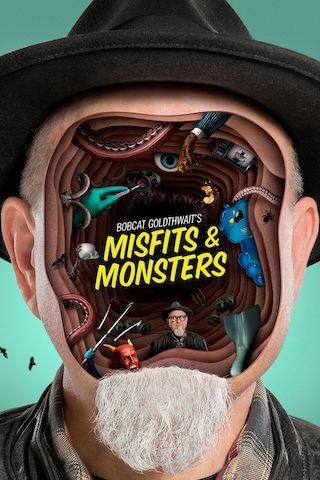 Bobcat Goldthwait's Misfits & Monsters is a genre-hopping, scripted anthology comedy series will bring viewers twisted morality tales from the darkly witty mind of creator and four-time Sundance Award-winning writer and director Bobcat Goldthwait. Each episode will tell a different story in a different genre  including 1970s-era science fiction, psychological thriller, romantic comedy, and reality  and will satirize our social norms and exploit the awkwardness of its flawed characters.